To file a complaint that is non-emergent in nature contact the Non-Emergency 24-hour Dispatch line at (608) 785-5942. The Campbell Police Department will protect and serve its community by judiciously enforcing laws, exhaustively investigating complaints, and vigilantly pursuing and apprehending criminals. We will remain steadfast in our commitment to improve the quality of life in the Town of Campbell by fostering strong community relationships, and modeling leadership and professionalism. 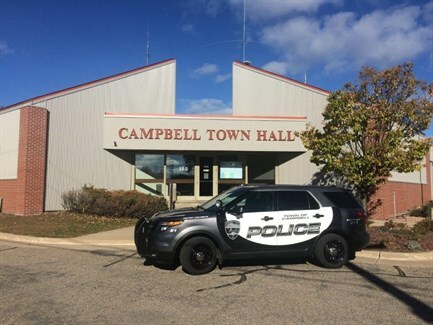 The Campbell Police Department will strive to provide excellent police service, and are committed to constant improvement through continued education and training. We will adapt to meet the changing needs of our community and become a national leader in community policing by building strong relationships and collaboration with all community stakeholders. Read a Welcome Letter from Chief Gavrilos. Police Reserve Currently Recruiting: This program has been established to provide the opportunity for participants to learn more about law enforcement, to augment the police department, and to foster positive relations with the community. We also welcome those who simply want to take an active role in their community. There are great opportunities available to our members. Applications may be obtained at the Police Department.